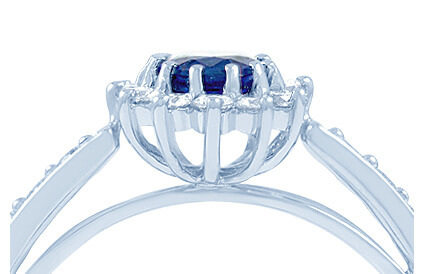 Sapphire engagement rings have in recent years become a popular choice with royalty and celebrities alike. Here at Diamond Boutique, we offer breathtaking rings worthy of any modern queen to be — crafted with stones boasting bold clarity and superb shine. From the bold blue sapphire favoured by Beyoncé and Kate Middleton to the rarer pink sapphire engagement rings, we offer a comprehensive selection of designs. Known as a symbol of good fortune, virtue and wisdom, not only are sapphire engagement rings becoming increasingly popular, but so are wedding and eternity rings. Choose your perfect sapphire engagement ring from our collection or talk to us today about our bespoke engagement ring service.